Using vintage equipment, a longtime collector of commemorative “Cinderella stamps” launches a new business to design, print, and perforate these exquisite miniature posters. Long before Twitter challenged writers to go short, “poster stamps” challenged designers to go small. 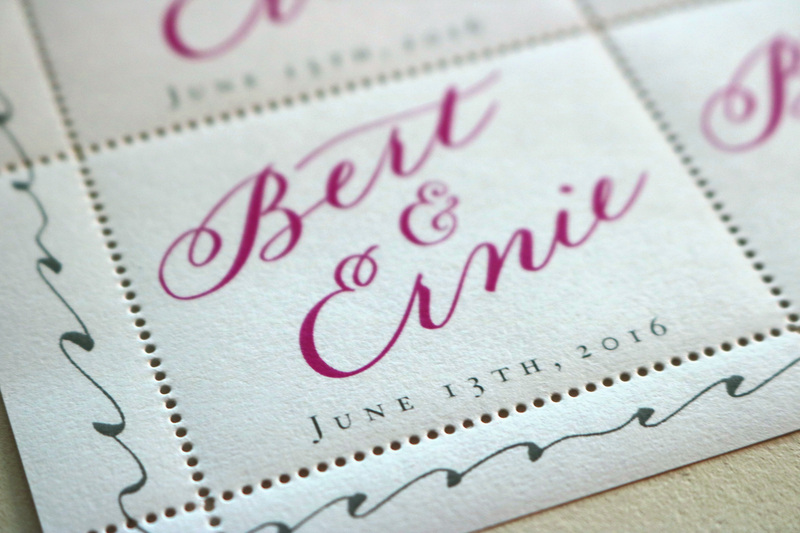 In the 19th and early 20th centuries, poster stamps were widely used to commemorate special occasions, celebrate weddings, and of course, promote products. Now a longtime collector has launched a business to design, print, and perforate poster stamps in the classic tradition for clients and artists. 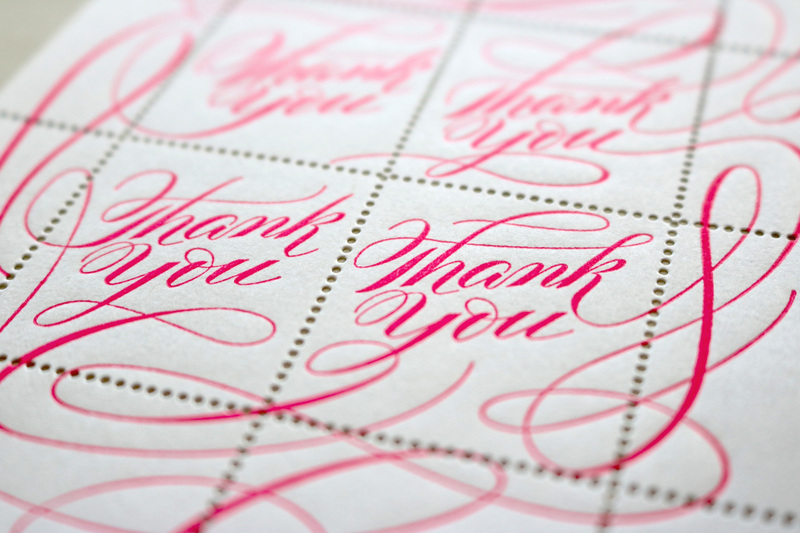 Clients can use their own designs, select an in-house design, or engage The Portland Stamp Company to create a custom stamp just for them. The designs are output as letterpress or digital printing, usually onto gummed paper, then perforated by Courtelis and his team. The company was founded by Niko and Joshua Berger, his business partner in Plazm Design. Both are award-winning creative directors who bring a wealth of graphic design, publication, fine art, and print experience to their work. The Portland Stamp Company’s limited edition Artist Series will launch later this spring, featuring the art of Ed Fella and Kate Bingaman-Burt among many others. 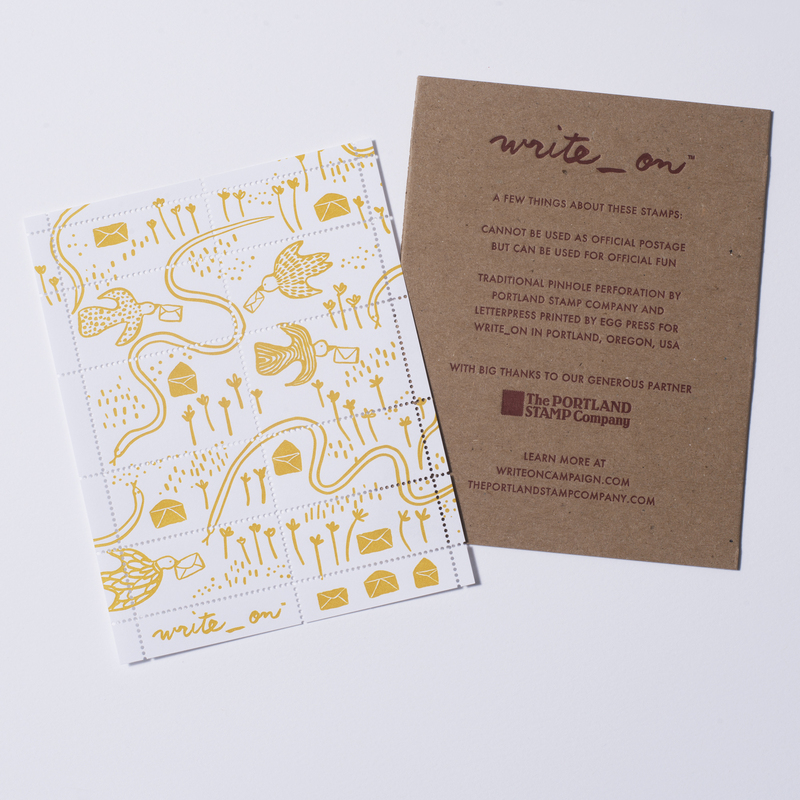 A special run of stamps for the popular #Write_On campaign premieres in April. During National Letterwriting Month each April, people around the country take the Write_On Challenge: to write thirty letters in thirty days. Individuals may buy kits featuring pens, log sheets, cards made by Portland’s Egg Press and Hello!Lucky—and limited edition poster stamps by The Portland Stamp Company. Groups throw big parties to write and create together using Party Packs that also feature the stamps. According to Egg Press founder Tess Darrow, the project aims to “promote joy, creativity, expression, and connection through hand-written correspondence.” Many writers document and post their efforts with the hashtag #Write_On on Instagram and other social platforms. 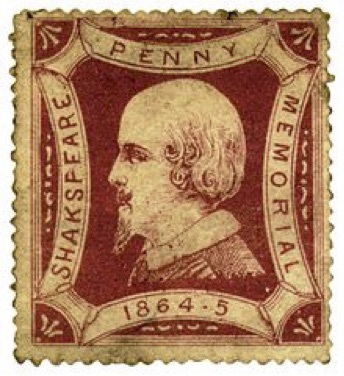 In the 1860s, the mayor of Stratford-upon-Avon decided the town should build a memorial theatre for William Shakespeare’s upcoming 300th birthday celebration. To raise funds, they sold tiny commemorative posters that looked a lot like postage stamps, only a bit larger—accidentally starting a craze. It was the first known use of “poster stamps.” The little perforated beauties grew wildly popular by the late 19th century, and were used for celebrating events, promoting causes, and selling products. They were used for political propaganda in the world wars, and after World War II the trend died out. Until now. The Portland Stamp Company is honored to announce the appointment of our first CPO, Niko Courtelis. Niko has collected stamps since he was a young boy, and has designed official postage stamps for countries including Grenada, Sierra Leone, Tuvalu, and Zambia. He is writing a forthcoming book on Lance Wyman’s stamp designs, makes stamp-related artwork under the rubric “Philatelic Atrocities,” and has given a talk The Curiosity Club called “Stamps Ate My Brain.” Beyond stamps, Niko can be found working as a graphic designer, video director, and Creative Director at Plazm Design.